Diess: "We see positive momentum in all regions." 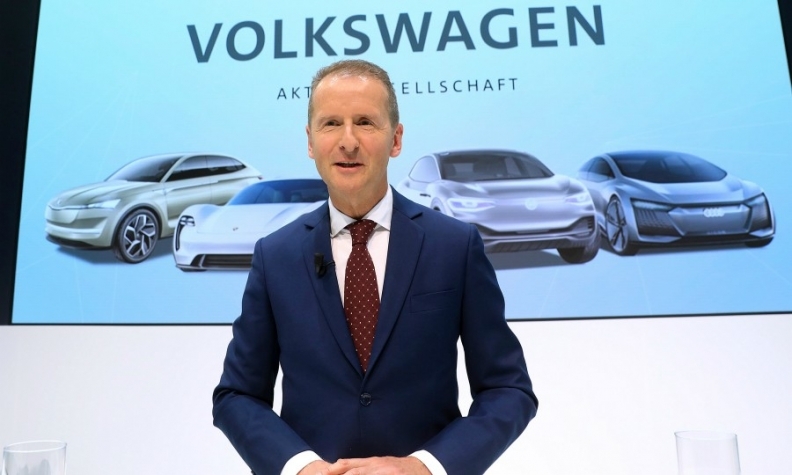 BEIJING -- Volkswagen Group is on track for profitable growth this year thanks to positive sales momentum at the start of 2018, CEO Herbert Diess said. "We had a very positive start into 2018," Diess said at the Beijing auto show. "We see positive momentum in all regions," Diess added, referring to group-wide deliveries, which expanded 7.4 percent in the first quarter to 2.7 million vehicles. "We see good opportunities for profitable growth in 2018, too, but we need to speed up," Diess said, noting rapid changes across the industry and heightening competition, especially in China. The automaker plans to spend 15 billion euros ($18.28 billion) through 2022 on electric cars and new technologies such as self-driving vehicles and alternative mobility services, with 10 billion alone earmarked for EVs, Diess said. VW plans to start building EVs in at least six Chinese factories by 2021, he said.